Tying a Bow is something that many people struggle with when adding it to their cards. There are many different ways to get the look but this is the way I tie mine in very easy steps. There are also some really useful tips on how to keep your ribbons smooth and neat enough to grace your cards. A simple adornment ... like a length of ribbon ... can make all the difference to your finished cards, and it is cheap enough to use and not be skimpy with. It comes in many colours, patterns and fabrics and can be bought just about anywhere. But the extra "Wow" factor that it can add to your designs is worth the cost. There are all manner of things that can be done with this material but one thing a lot of people struggle with ... is getting a really pretty bow to sit on their cards. This short video will show you several ways to master the task and make you the expert you want to be when it comes to adding a bow. But play and see what you can produce with the ribbons and fabrics that you have in your own "Stash"
I use a glue gun to secure them firmly to my cards as the last thing you want is for your bow to fall off as you give the card... not a pretty sight !! Different widths of the ribbon can make a real change to your cards and using two in different sizes together creates a real eye catching look. It is not a difficult technique but I know it can be fiddly when you first start and you may get really frustrated because the ribbon won't do as you want it. 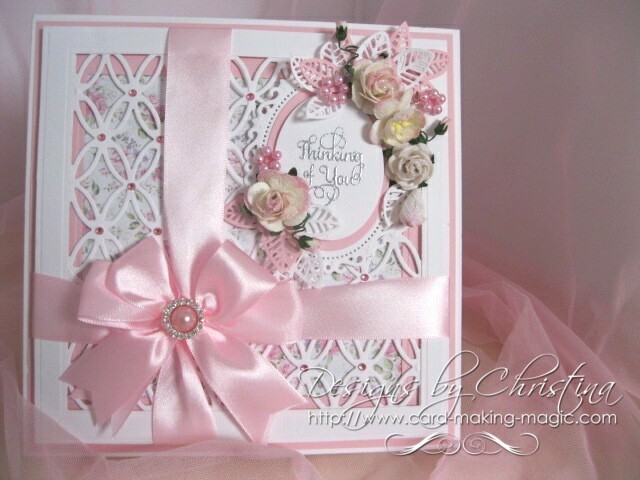 But persevere and before long you will be tying a bow like an expert and adding them to your cards in many colours and sizes for a really luxurious touch. But don't forget to add a little something in the centre of the bow, for a really neat touch to cover the knot. 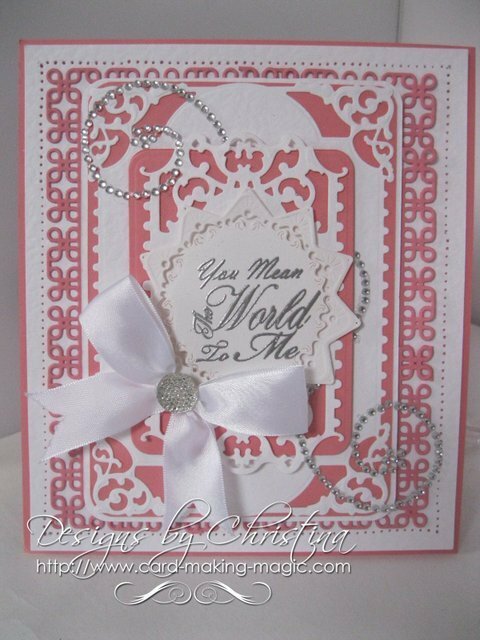 A button, pearl or gemstone, a small flower or just some Card Candi will give a far better appearance to your bows than just leaving them plain.